Interactive, Informative, Inspiring & Fun! Hi there, my name is Mark and I just love telling stories! As a father of two primary aged children and one grown up son, I’ve always loved reading and telling stories! With over 25 years writing experience, I am passionate about engaging our youngsters to not only read more but to pick up their pens (or their tablets) and get writing themselves! Children never get tired of having stories read to them, which is even more brilliant when those telling the stories are the authors themselves! Our storytelling sessions are designed for children of all ages, from Foundation phase, right through Juniors and into Comprehensive education. As someone who has performed poetry and spoken word at events all over Wales with National Theatre Wales, I know all too well how words can ignite and excite people’s imaginations. All our storytelling sessions include a Meet & Greet the Author (normally scheduled on another day), where the children get the chance to meet with me for a little chat, and also to buy their own signed and personalised copy of a book! All our storytelling sessions are interactive, informative, inspiring and fun, with kids asking all kinds of wonderful and sometimes very off-the-wall questions, so there's never a dull moment! Inspiration is everywhere - how you can capture and develop your initial ideas! Character Development - showing the children how characters are created and developed. Illustrating Your Book - explaining why we chose to illustrate our children's books. Drafting Your Story - explaining the importance of drafting and showing how to do it! Storytelling - where I storytell (Jackanory fashion and not reading from a book), which really gets the kids going! Original Book Illustrations - showing some of Liz's original watercolour illustrations on large A2 paper. Book Cover Design - showing the importance of book cover design, and how we do it from start to finish. Radio 2’s 500 Words - encouraging the kids to enter the best kids competition ever! 500 Word Storyboard Challenge - can they write their own 500 words masterpiece? Question and Answer session about writing and what it's like to be an author. Our aim is to encourage the children’s love for stories, so that by the time I leave they are already picking up a book to read, or even start writing one themselves! Based in South Wales, we are fully DBS checked. Our Creative Writing and Storytelling sessions are one hour for KS2, a little more for pupils in Secondary school, and a little less for Foundation aged children. The price per session is from £95. Sessions can be tailored to individual school requirements. These interactive workshops provide a real insight into how we bring our books to life, and how the children too can become aspiring authors themselves! We also encourage children to enter Radio 2's 500 Words Competition. 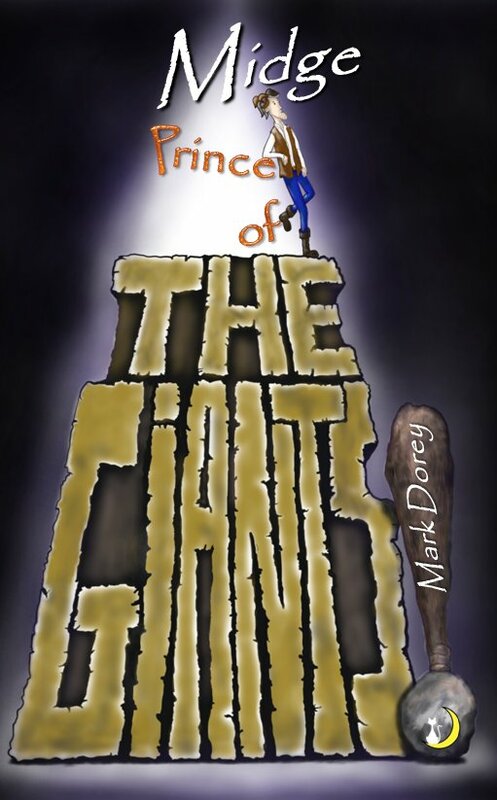 We have also developed a Health & Wellbeing Storytelling Session using our book Midge - Prince of the Giants focussing on the Importance of Friendship and how children can Become true Giants in becoming better friends! In addition, we have a Reading With Your Child session which highlights the importance and advantages of setting aside time to read with your children. There is also an opportunity to sit in on a storytelling session with your children as I take you through two of our picture books: Can We Walk to the Moon? and How High Do Trees Grow? We also have a number of Christian themed titles explaining the Gospel in simple terms which are ideal as a basis for Religious Education talks. For more information, scroll down the page, or if you would like us to come to your area or simply find out more, please email Mark mark@tomsercat.com or call on 01443 408577 or 07846 994 916. "You are a great storyteller! You captured the children's attention and imaginations so well. You shared your genuine passion and enthusiasm with honesty. The children and teachers loved it. We wish you all the best! Keep telling and writing stories." "Children were very engaged and motivated. Particularly interested in the process of how a book is made." “What a fantastic morning we had. Mark was so interactive with the children, they were so engaged and enthusiastic. Both stories were great and the illustrations matched perfectly. Thank you for coming to our school! "Your storytelling was very engaging and had the children hooked from the beginning. Really interesting for children to hear about your edit process - we are really pushing them with this at the moment!" "The children thoroughly enjoyed the workshop and were all engaged and enjoyed joining in parts of the story! When back in class even the Nursery could tell me about the Can We Walk to the Moon? and How High Do Trees Grow? stories, and they remembered it well as the workshop was interactive." “Thank you Mark for an exciting, funny and inspiring storytelling session.The children loved the different voices you used and were impressed by the illustrtions. The children were keen to participate in the session and they can't wait to hear more about Tyler, Rhydian the Dragon and the Un-Snowy Mountain! "Our classes were totally enthralled by the whole session, but particularly the storytelling. Many pupils commented on the variety of voices that Mark used! Lots of pupils have said that they would like to write stories and be authors one day, following the session. Many thanks." “Mark was engaging and used lots of expression. It was fascinating to meet a real life author and be able to ask questions, as well as seeing 'real' illustrations and then how they look in print!" "Mark’s presentation to my Year 5 class was a delight. During the session, he took the children through the process of writing a book from the initial ideas to the final published volume. They were enthralled by the many drafting stages and thoroughly enjoyed seeing his first manuscript complete with doodles and scribbles. The children were keen to participate in spotting the alterations on pages of different drafts and this has inspired them to see redrafting as an on-going process in their own work. Seeing the original full-size illustrations for the book was a real treat and they were fascinated to find that the character illustrations also go through a drafting process. The children are now looking forward to Mark’s return visit to see their story ideas and sign copies of his book." "Thank you for your fun filled visit today. The children loved the story of 'Can We Walk to the Moon?' as the story captured their wild imaginations. We can't wait to continue working on their own ideas for stories and for you to return to hear them! Thank you again!" "A wonderful experience to inspire and engage young children's experiences of stories and writing - Book a visit!!! If you want children to enjoy books ... listen to Mark Dorey. You can't beat a good storyteller to capture and expand their imagination ... and beyond!!" "Mark gave a fantastic presentation (and performance). I can tell he is really passionate about writing and I'm sure he's inspired the children; as he has me!" "Thanks Mark from all the staff and children at Cefn Primary School for making World Book Day 2014 such a success. Year 1 & 2 thoroughly enjoyed their story telling session of 'Can We Walk to the Moon?'. They loved the wonderful adventure story of Tom and his Dad, and the amazing artwork that you showed them. Years 3 & 4 and 5 & 6 had a real insight into the stages of drafting a book and were able to see all the decisions and changes that happen along the way to the writing and artwork. They were captivated by the storytelling of 'Polly's Magic Bubbles' and inspired to work on their own storyboards. We are all looking forward to your return visit. Thanks again for a brilliant day!" "Thank you Mark Dorey for coming in. We all appreciate it. It is a pleasure to come in to school. I love it when you read Polly's Magic Bubbles." "The children of Christ the King were inspired by Mark visiting our school. It was a wonderful experience which I would thoroughly recommend to any other school. The pupils really enjoyed the storytime session and their follow up work, creating storyboards were wonderful. Since Mark's visit, Christ the King has been full of young enthusiastic authors!" "To Mark, I enjoyed your book reading at school it inspired me in a lot of ways. The most inspiring thing was all of the features they were great and amazing. I really want those in a story I write. You're the best author I've seen and met." "I really enjoyed it because it was a fun book and I liked it when you were dancing around the silver tree with Tom." "My children had a 'meet the author' session at school with Mark today. Both of them came back very excited about the stories they had heard and wanted to immediately write their own. My son said "Mark has inspired me to write my own stories." I was very impressed with how much they had both taken in from the sessions, not just about the stories but about becoming an author. A very worthwhile visit from a wonderful new children's author." "Thank you Mark for an invaluable insight into being a real author. As a teacher, I was already planning what to do next with the children. The different ideas for inspiring young writers was most useful. So much so, it will now be my next working wall for display. I and the children loved the 'Spot the Difference'. It was a really useful way of seeing how a basic text could be improved." "Enjoyed! Enthusiastic, jokes brought drafting to life; storytelling great, funny, spoke to children not adults. Mark shared his ideas and was very inspiring. I have included some of the comments from our pupils who attended your class." "Thank you for inspiring me in writing. Your books are incredible." Ethan, age 8. "Dear Mr Dorey, I really enjoyed you talking to us about being an author and about Polly's Magic Bubbles. I really appreciated it. P.S. You are a jolly man! :-)" Scarlett, age 8. "Thank you Mr Dorey for telling me things I never knew, you made me more inspired to write." Nathan. "Thank you Mr Dorey, I really loved your visit to our school. I liked the story of Polly and the Magic Bubbles, it was amazing! You also inspired me to read Polly books." Amelia, age 8. "Dear Mark, thank you for your book and also your inspiration. One day hopefully I'll be as successful as you. I appreciate your visit. Also because spookily you made a cartoon character of me." Yours sincerely Madeleine x x. "To Mr Dorey, thank you for everything and telling lovely stories." Best wishes, Sienna. "To Mr Dorey, thank you for your inspiring ideas and tips. You've inspired me sooo much, I feel like becoming an author! I really appreciate your hard work!" Evie, age 8. "Thank you for the assembly, it was inspiring. I appreciate what you said because I'm going to write a book as well." Royeh, age 8. "Thank you for all the expression reading and funny voice." Samuel, age 8. "I really enjoyed the assembly. I forgot to bring money to buy the book so I was annoyed because the way you described the book made it sound very interesting." Angus. "Thank you Mr Dorey for your wonderful visit to our school. I appreciate all your tips. I know your book is going to be incredible when I read it." Izzy, age 8. "Thank you Mr Dorey for inspiring me to write more and helping me on how to correct my work." Daniel, age 7. "Thank you for inspiring me. Since then I've thought of a lot of ideas for books. I really appreciate you losing your free time to come and talk about your books & yourself. Thanks! :-)" Katie, age 8. "I really enjoyed learning about writing books, so thank you because you've really inspired me to write more often and also to become an author. I loved the session with you so please come back soon with more great books." Thank you so much for coming to our class. We loved your story telling and how you thought up your stories. Our favourite part was when you read the first part of Polly's Magic Bubbles. Our favourite character is Marcia and you do a great voice for her. We loved your other books: Polly's Magic Bubbles, How High Do Trees Grow? and Can We Walk To The Moon? In our class we always read your books - they are amazing and awesome. We loved to design the new cover of your new book. 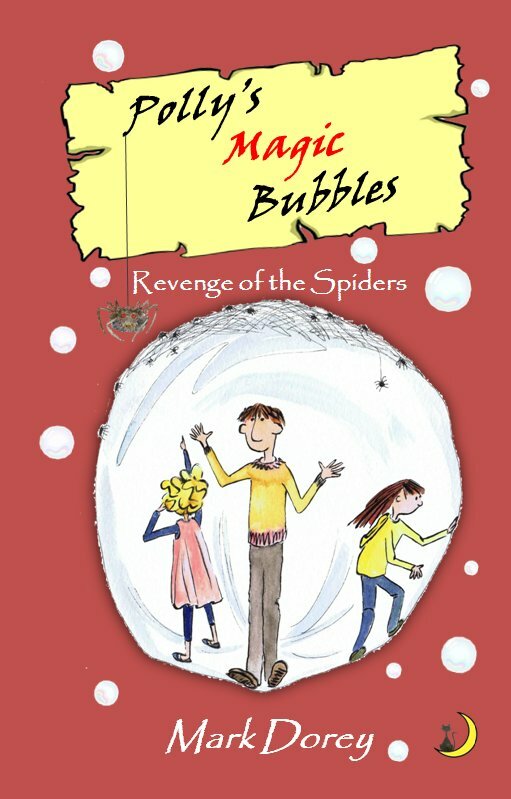 We can't wait to read Polly's Magic Bubbles - The Revenge of the Spiders and we hope you can come back to our school to read it to us." please email Mark mark@tomsercat.com or call on 01443 408577 07846 994 916. Tomser Cat Books - brilliant children’s books to captivate readers of all ages! I have written and published 9 children's books, all fully colour illustrated by my lovely wife Liz, except for our young adult novel. 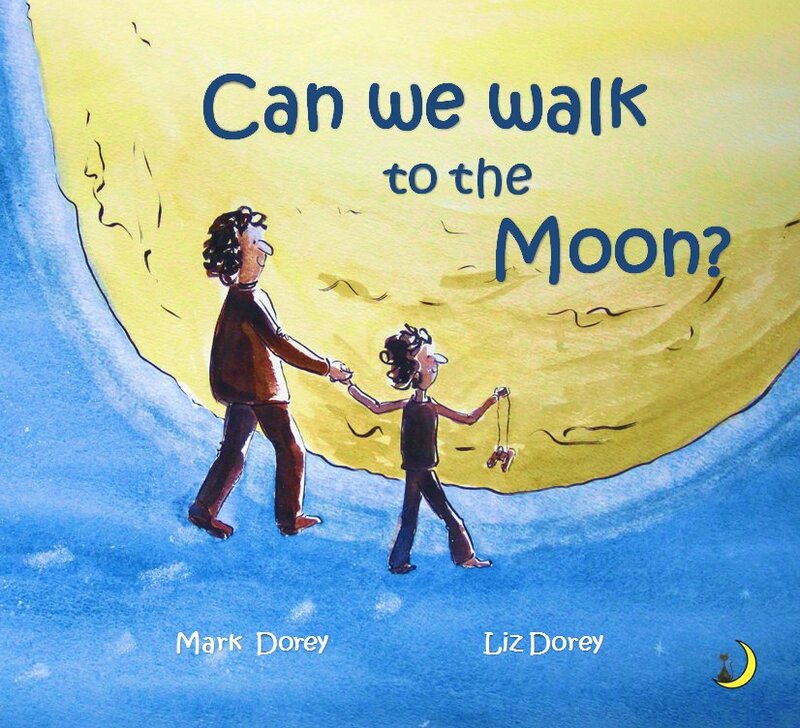 Our children's picture books are: Can We Walk to the Moon? & How High Do Trees Grow? both of which are picture books written in verse suitable for ages up to 7 years. 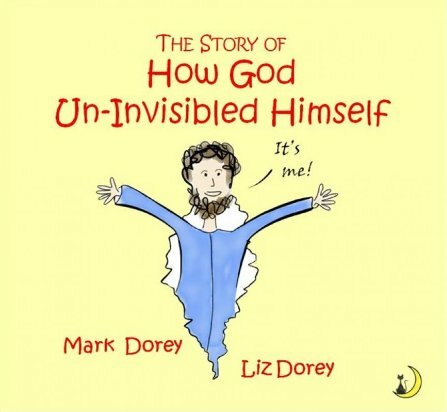 The Story of How God Un-Invisibled Himself & Help! 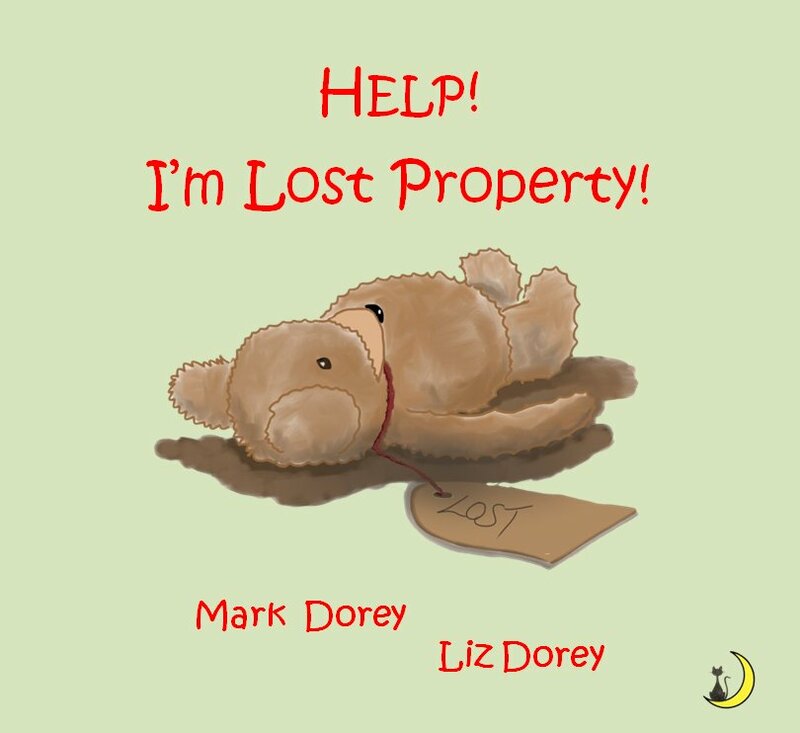 I'm Lost Property! Two picture books with a Christian message. Our children's fully colour illustrated chapter books are: Midge - Prince of the Giants, suitable for first readers 6 to 9 years. 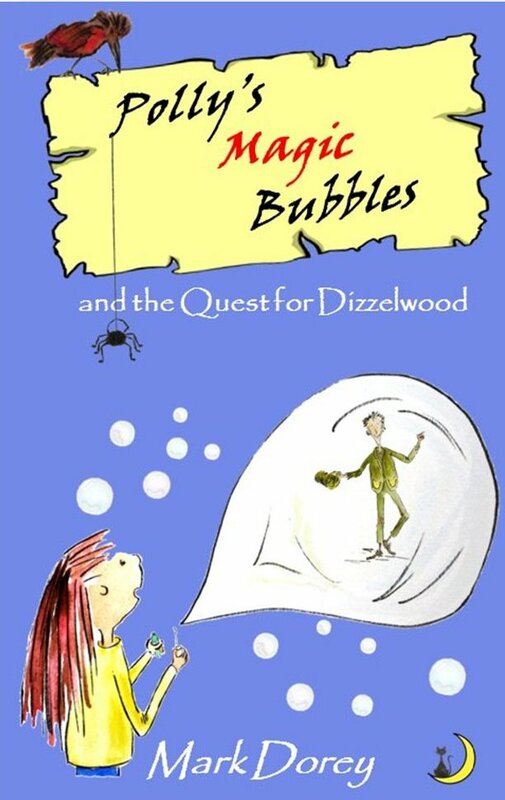 Polly's Magic Bubbles and the Quest for Dizzelwood & Polly's Magic Bubbles - Revenge of the Spiders, suitable for ages 7 to 12 years. 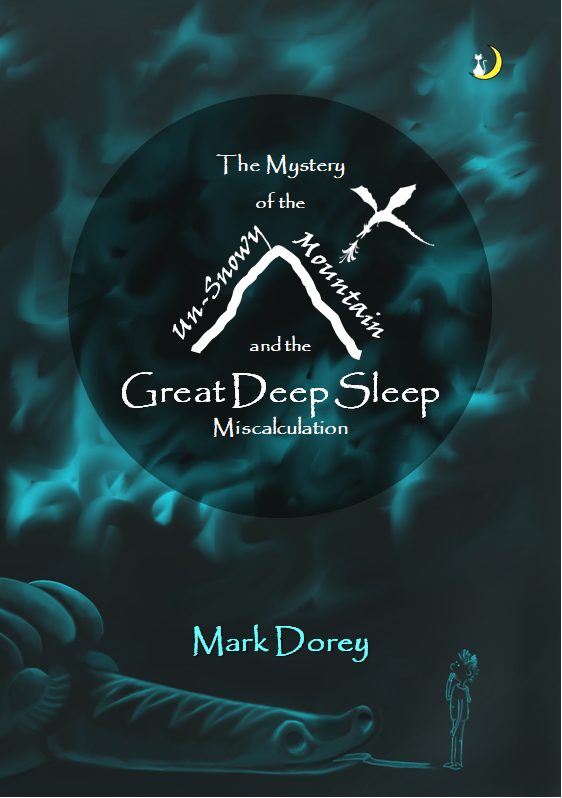 The Mystery of the Un-Snowy Mountain and the Great Deep Sleep Miscalculation, suitable for ages 7 to 12 years. 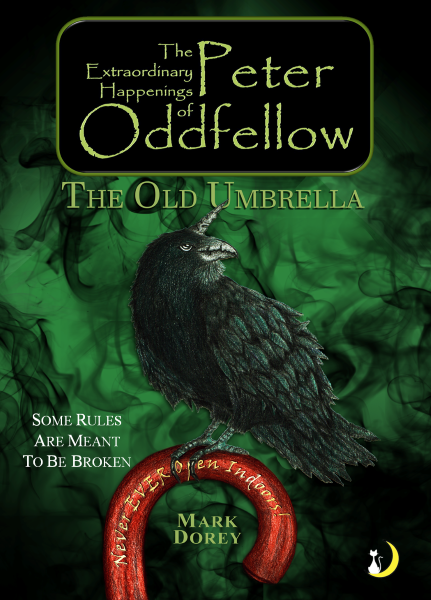 Young Adult Novel The Extraordinary Happenings of Peter Oddfellow: The Old Umbrella, for readers 11 and up. Chapter adventure book beautifully illustrated with 98 full colour pages for ages 7 to 11 years. Chapter adventure book beautifully illustrated with 200 full colour pages for ages 7 to 11 years. Chapter adventure book beautifully illustrated with 160 full colour pages for ages 7 to 11 years. A fantasy adventure suitable for teens and young adults. 340 pages. Can We Walk to the Moon? A large full colour picture adventure book beautifully illustrated for ages up to 7 years. 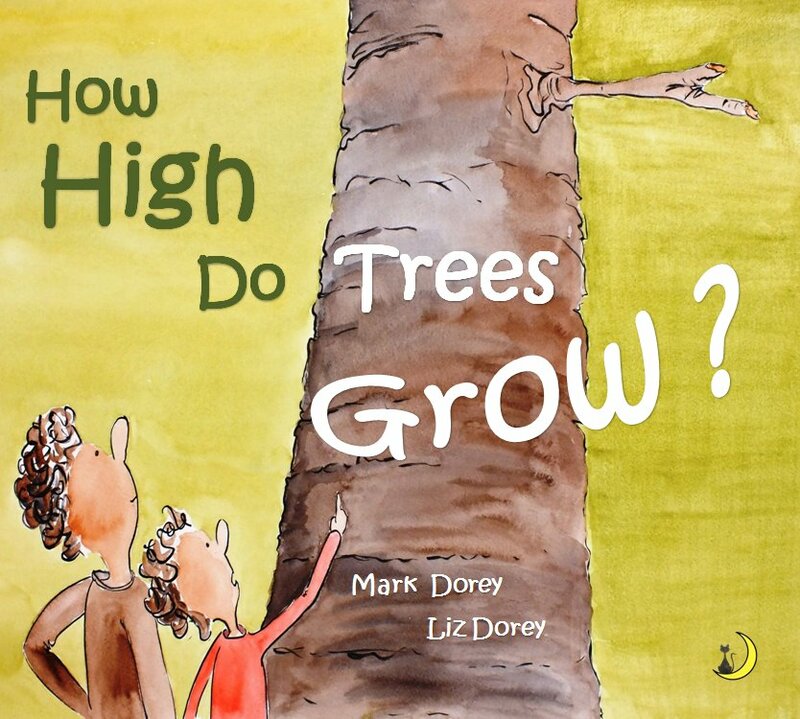 How High Do Trees Grow? A 'Mr Men' sized picture book with a Christian message beautifully illustrated in full colour.